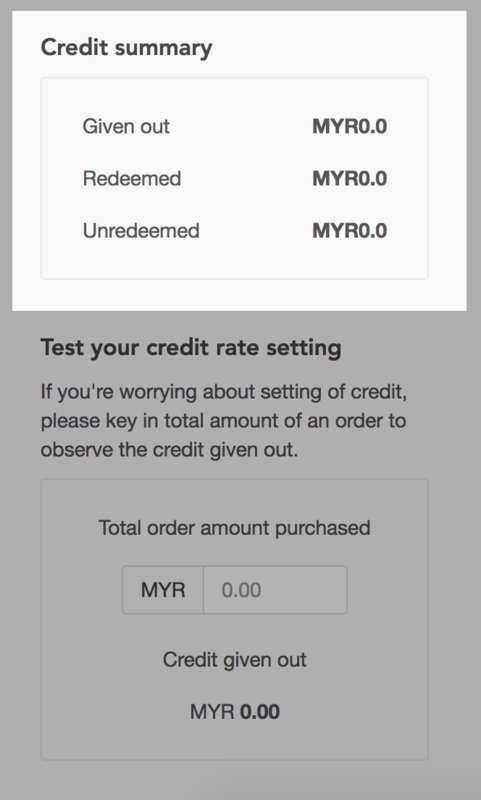 Credit feature in EasyStore allows you to reward your customers with credit, and refund your customers with a credit instead of cash. 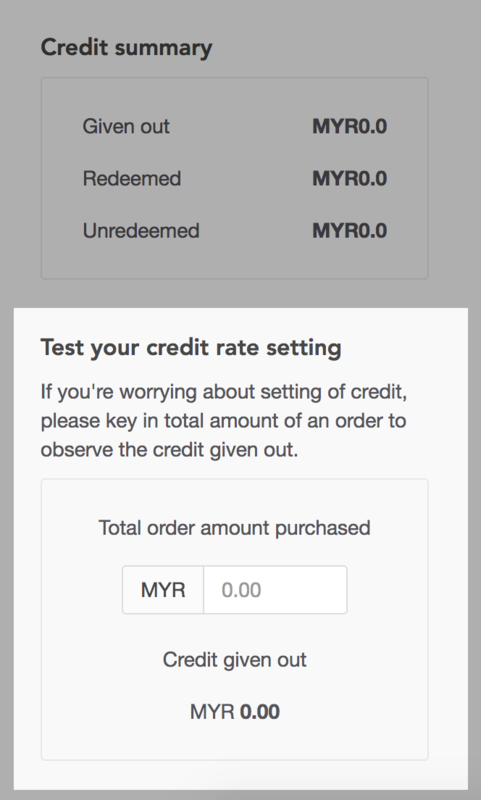 Your customers can use the credit to make payment during their next purchase. By value - Example: $100 for $1 credit. 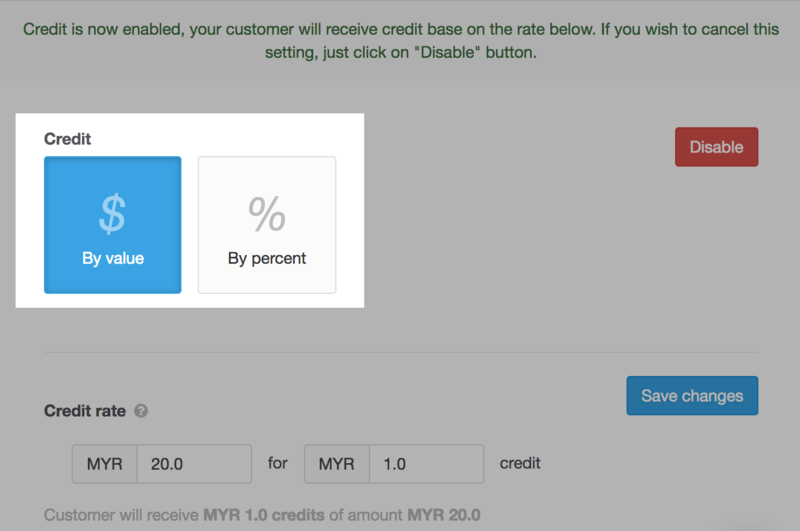 If a customer spends $200, $2 credit will be given. 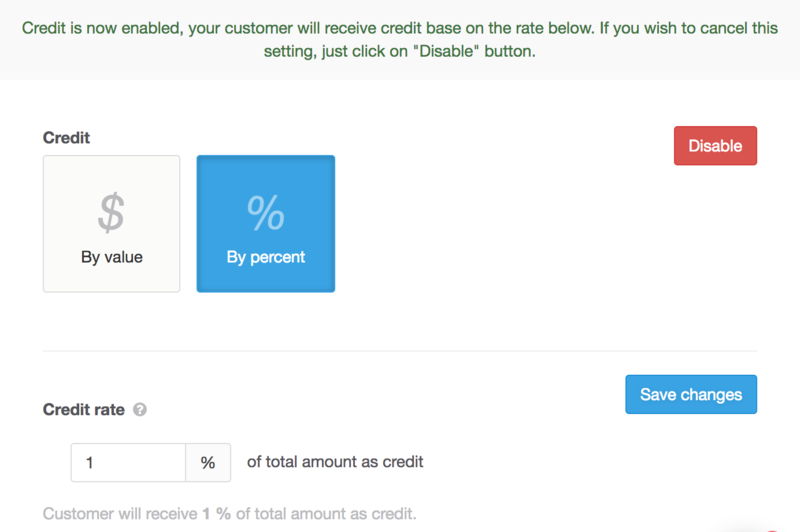 By percent - Example: 5% of total amount as credit. If a customer spends $200, $10 credit will be given.